SMYRNA, Ga. -- A pedestrian is dead after a traffic accident in Cobb County. Smyrna Police Department Spokesperson Lewis Defense said that the incident happened when a pickup truck was heading west on Windy Hill Road. When the driver turned left onto southbound South Cobb Drive, the truck struck and killed a person who was allegedly in the crosswalk. At this time the incident is still under investigation and charges - if any - against the driver have not been announced. There's also no information available as to what speed the truck was going at the time of the accident. The victim has not yet been identified but appears to be a white male in his late 40s. The driver was described as an older white male and he is currently at police headquarters. Scene investigation is expected to take several hours. ATLANTA (WXIA) – On Wednesday, the family of Nicholas Thomas met with the US Attorney to request a federal investigation into the officer-involved shooting that took the life of the 23-year-old Smyrna man in March. 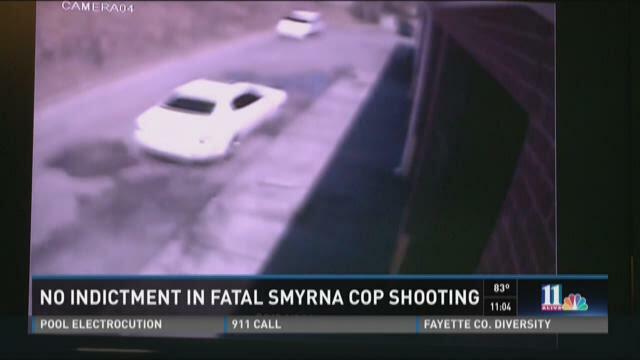 SMYRNA, Ga. -- The family of a man killed by a Smyrna police officer said, Friday, they were betrayed by the justice system. Nick Thomas's family spoke for the first time since a grand jury said the shooting was justified. Thomas's brother said the Cobb County district attorney was a coward. The family said they were left out of the entire process and never shown any evidence. They were also never able to testify in front of the grand jury. And they're not done fighting in this battle, they said. COBB COUNTY, Ga. -- A Cobb County Grand Jury has ruled that a Smyrna police officer's fatal shooting of 23-year-old Nicholas Thomas was justified. Cobb County District Attorney Vic Reynolds said it's a tragic situation and he feels for the Thomas family, but said that he agrees with the grand jury that Smyrna Police Sgt. Kenneth Owens feared for his life when he fired the fatal shots on March 24. 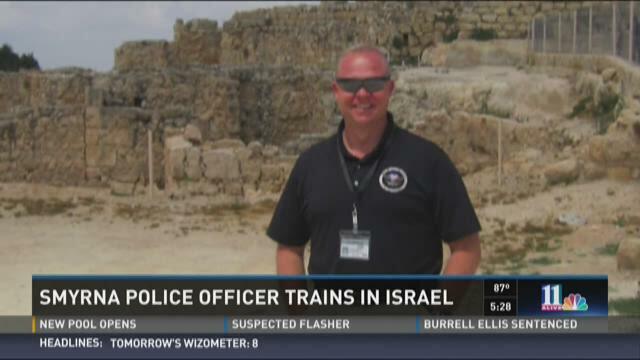 SMYRNA, Ga. -- More than a dozen Georgia law enforcement officers are back home, Wednesday, after a two week special training event – in Israel. They learned the latest in counter terrorism techniques as well as a few things that can help in local communities right here in Georgia. 11Alive spoke with Smyrna Police Department Deputy Chief Robert Harvey about the training on the heels of the trip. Roberts stood next to fellow officers recently, but they weren't from his department – or even his country. They were law enforcement officers whose sworn duty was to serve and protect the people of Israel. SMYRNA, Ga. -- A vehicle accident led to a big mess for one local restaurant when a car crashed through the front window in Smyrna, Ga., Wednesday. 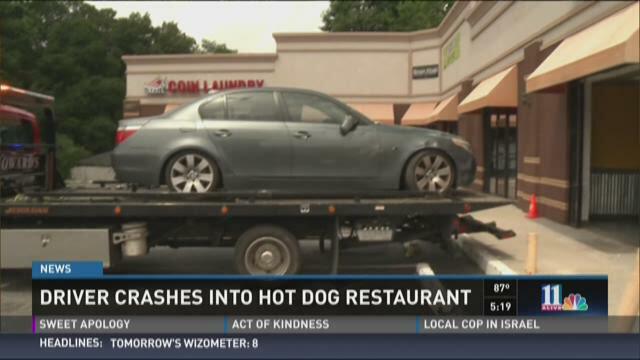 The restaurant – called the Hot Dog Factory – suffered frontal damage when, according to the owner, a woman accidentally put her car into drive instead of reverse sending her through the storefront window. Had the accident happened 25 minutes later, the restaurant would have been full of customers during the lunchtime rush. In fact, the car ended up next to the counter – a section where customers are often standing while ordering food. SMYRNA, Ga. -- The Smyrna Police Department became the latest in metro Atlanta to embrace body cameras. All police officers who come into contact with the public -- including those assigned to the patrol division, detectives, street crimes, K-9, crime prevention, S.T.E.P., DUI Task Force and park rangers -- will wear body cameras. "We're trying to be as transparent as possible," said Smyrna Police Chief David Lee. The department spent $68,140 on 75 VieVu LE3 wireless body cameras. Officers will use the equipment to collect evidence and aid in prosecution of people who break the law. Footage captured by the cameras may also be used in investigations involving complaints against officers, or as training aids for the department. "The decision to purchase body worn cameras was based on increasing transparency and being proactive with community policing," the department said in a statement.